LISTEN TO THAT VOICE | Our Lady of Victory Remembered! I guess I should be thinking about writing another book. Lord knows I have a lot going on in my head. But you know what? I’m not really a writer. I’m not!! I started to write because I had something to say. I needed to get our story written down somewhere for the sake of history. I kept waiting for somebody to do it, but that somebody was me. It took me a few years to figure out that I was the one. I talk about this sometimes when I am doing speeches. You have to listen to that voice. I firmly believe that God is speaking when you cannot get a thought out of your head and you are compelled to finally act on it. Or, wherever you find yourself in this life, you are suppose to be there and all of it shapes everything that you do leading up to writing about it. I felt that our history needed to be told. I didn’t know at the time that I was privileged to have met some historic and famous people along life’s road. I only found this out as I started to do some serious research. The priest I met as a child was celebrating fifty years of priesthood. A big story appeared in the Michigan Catholic listing all the parishes that he was affiliated with. When I searched the list for Our Lady of Victory (OLV), Msgr. Ferdinand DeCneudt, was listed as an administrator not the pastor. I stared at that entry for a long time. We thought he was always a pastor. No one in our church had ever heard of an administrator. But it was to have a profound effect on our church over time. The Archdiocese of Detroit put out a 300 year anniversary book called “Make Straight the Path” 300 years of history. I scrambled to find something about OLV. There was just a short blurb under a picture. I had the rare occasion to work at a Catholic Church after going back to school and finally getting my BBA. I hired in as an office manager and then became business manager. Working there gave me the rare privilege of seeing the inner workings of the catholic church. There was a church directory so being curious I looked up our church. It was listed under the merged Presentation and Our Lady of Victory with an establishment date of 1975. Are you kidding me? Our church started in 1943 and I know Presentation was established in 1941. With the stroke of a pen they wiped out our history. And so folks that was how I came to write about our story—my story. Initially I just wanted to honor the pioneers. I really didn’t know how I was going to format this book. Would it be a chronology of events? Would I pay homage to the folks who blazed this trail? I definitely didn’t see myself writing a biography which has come to be known as a narrative history. That genre was coined by Mark Bowden of the Burton’s Historical Collections at the Detroit Public Library. You see, he found me after discovering my book and asked me to come and speak before the Fred Hart Williams Genealogical Society. They never had a narrative history to present and so they wanted me to do a presentation which I did. During the beginning stage, my editor suggested that I tell my story. I said “why? The book is not about me?” She said, “but you’re the author”. So I said, “ok”! And that night I started typing out my story basically from memory. It took me two nights to do a short version to go into Part I where I tell it. Lo and Behold, my story turned out to be the most fascinating to lots of people. I was shocked actually. I never thought it would be interesting. You never know until you tell it. I knew it. It had been in my head all of my life. Putting it on paper made it an interesting biography and as it turns out—local history is what a lot of folks really like here in my hometown. So there, if I keep writing I will have another book. So I’m going to stop right here. You can get the rest yourself. I’m not gonna stop you! Please click the “no comments” link above this blog so I know you stopped by. 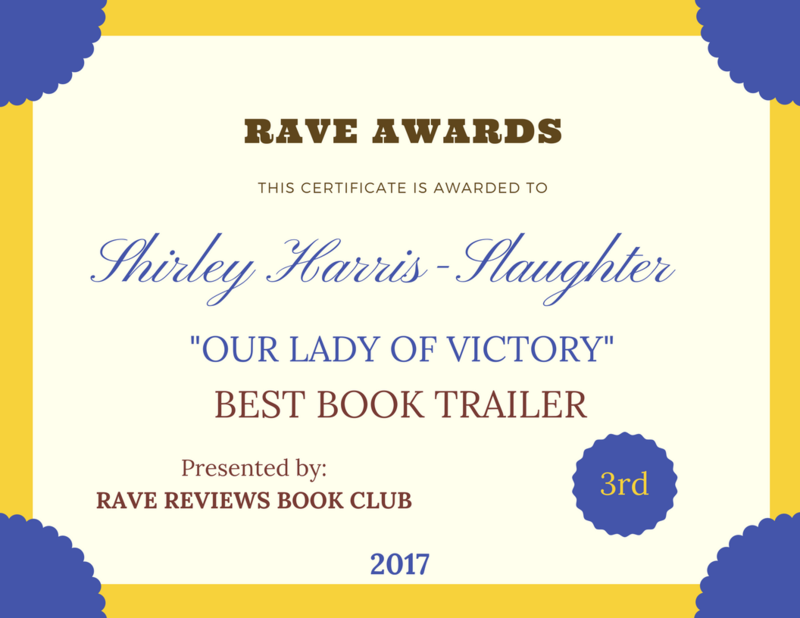 This entry was posted in A Narrative History on September 14, 2013 by Shirley Harris-Slaughter. I love this blog and don’t forget when that next book comes out, I’m the one who told you u couldn’t just be a one-hit-wonder. You’re a good writer so don’t stop now. I’m sure you have many more stories to tell. And guess what, they don’t all have to be about OLV. Remember the talk we had about relationships, there’s your next story, I do believe! Keep going! Right now I’m trying to work my way thru the latest chapter in my home church. I sent a letter to the deacon with a copy going to the archdiocese of Detroit cancelling my pledge to support “Changing Lives Together” which is a complete joke. Its another campaign to squeeze money out of you with no guarantees that your church is going to remain open. But that’s another story. OLV is all about preserving our history which was in danger of being wiped out forever. I put a stop to that. Yes I will write again and very soon. Thanks so much for cheering me on. I need that. You are the best.